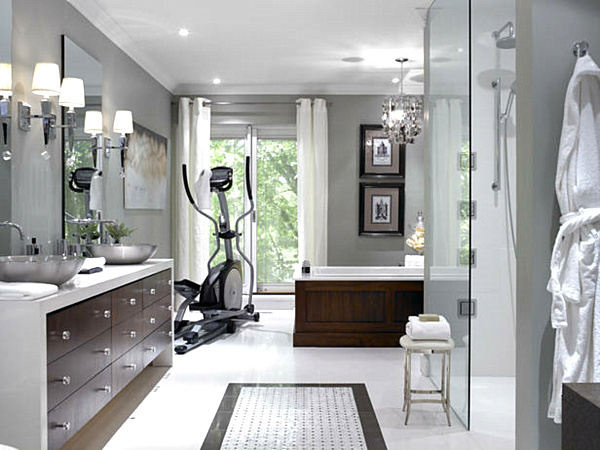 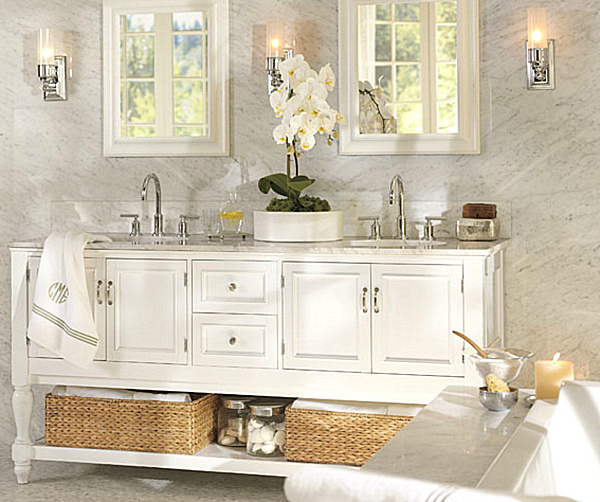 Part spa, part beauty retreat, the bathroom is a space for daily grooming. 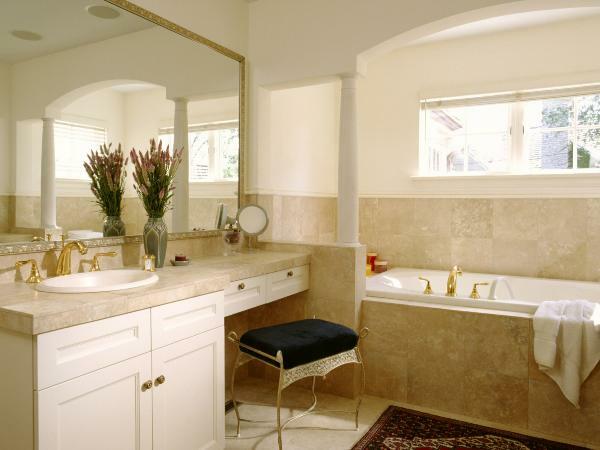 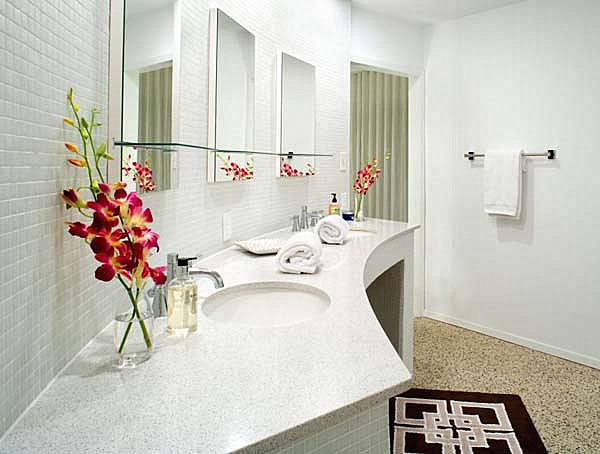 Today’s interior design trends reflect the restorative aspects of the powder room. 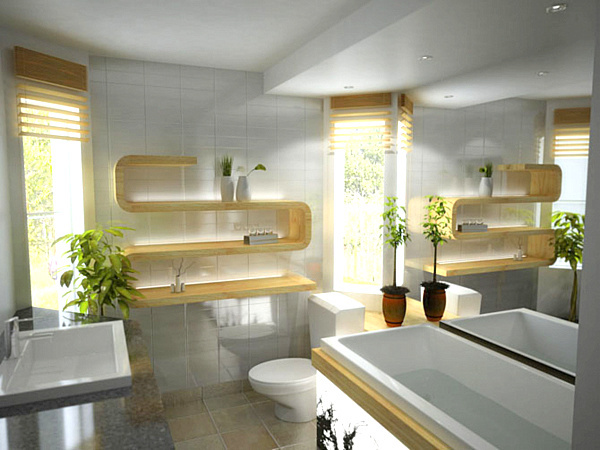 No longer is the space a location of mere practicality. 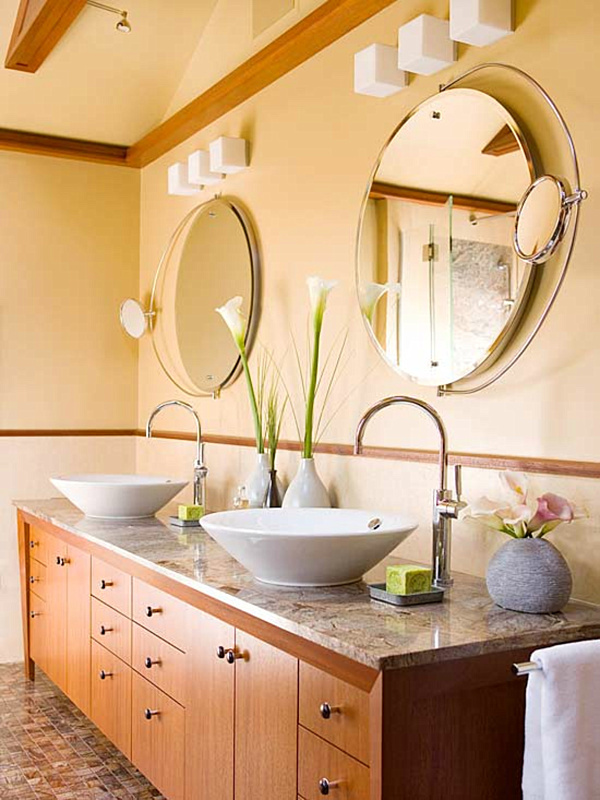 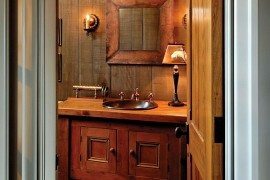 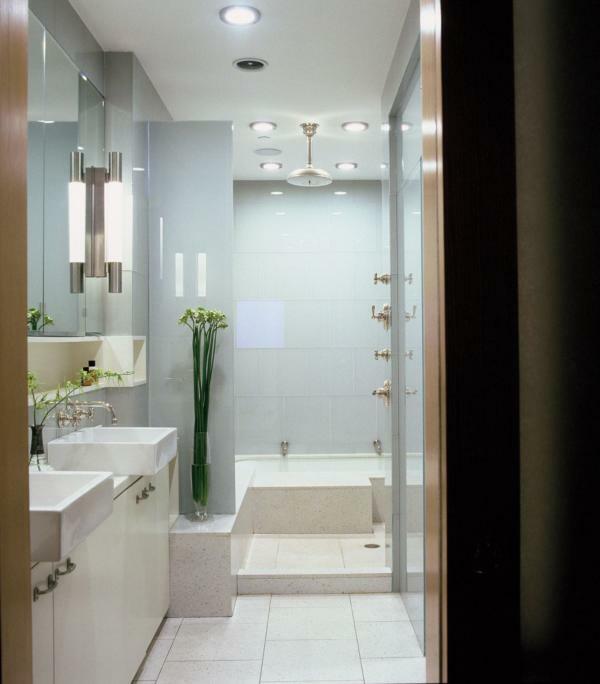 While not every bathroom is designed to mimic the style of a resort, a clean, elegant aesthetic quality has clearly emerged, a result of the powder room’s transformation from simple necessity to a chic haven. 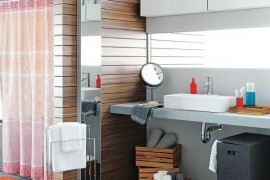 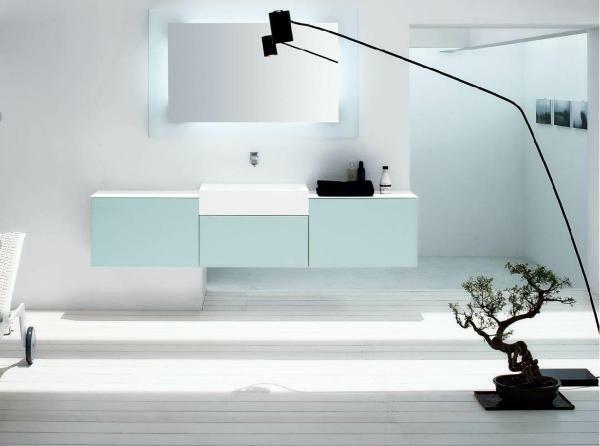 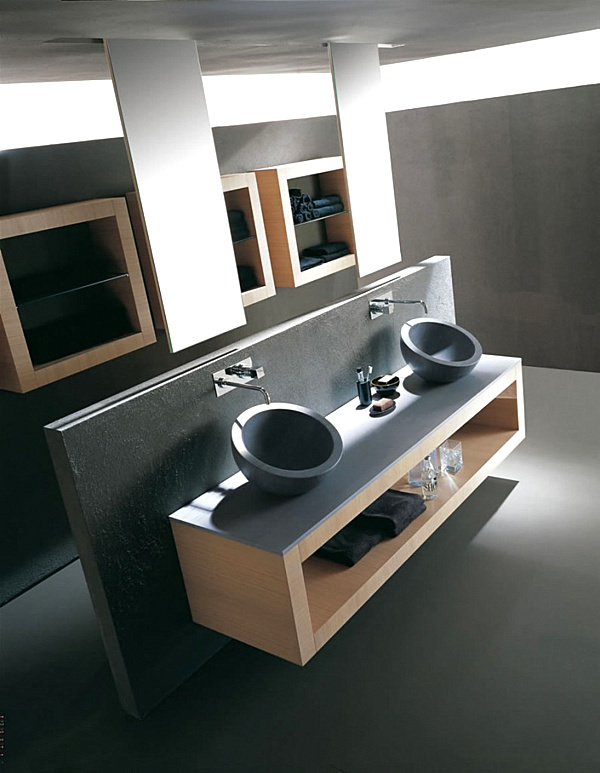 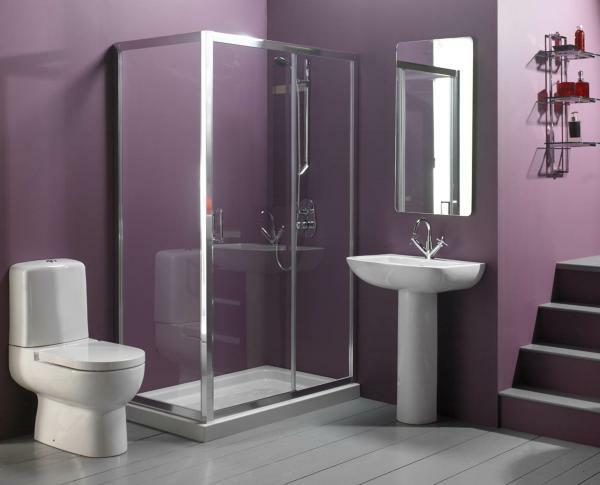 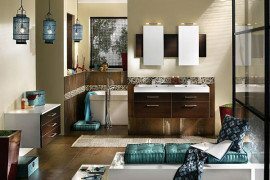 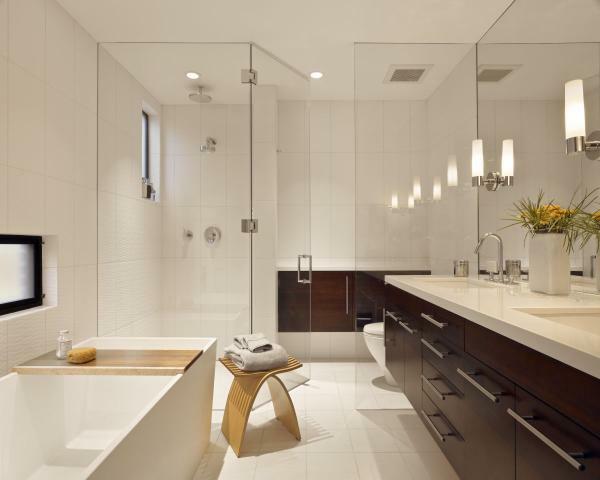 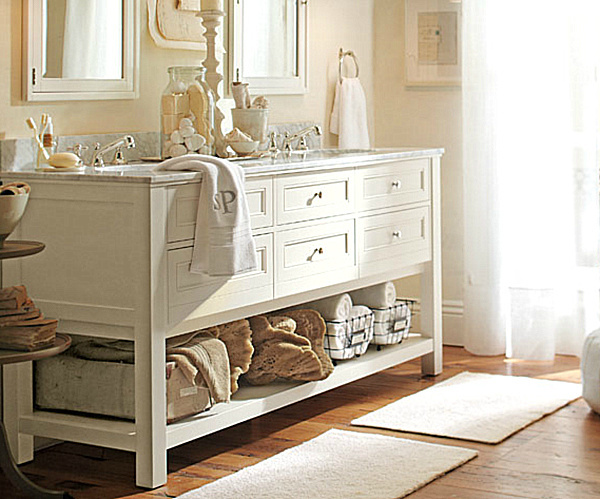 When it comes to decor for the bathroom, a multitude of options are available to suit every taste and budget. 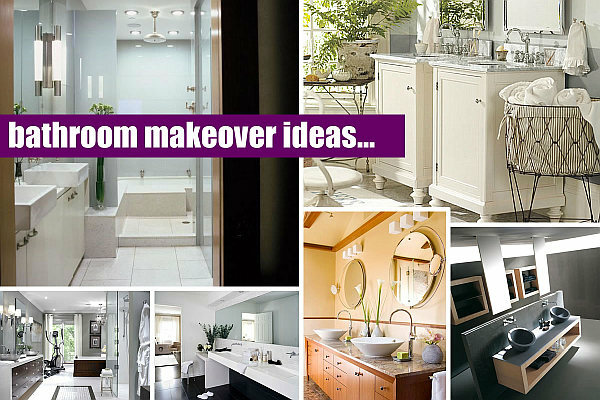 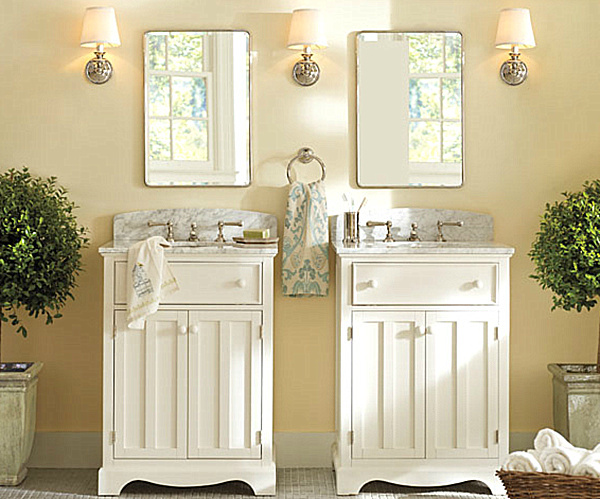 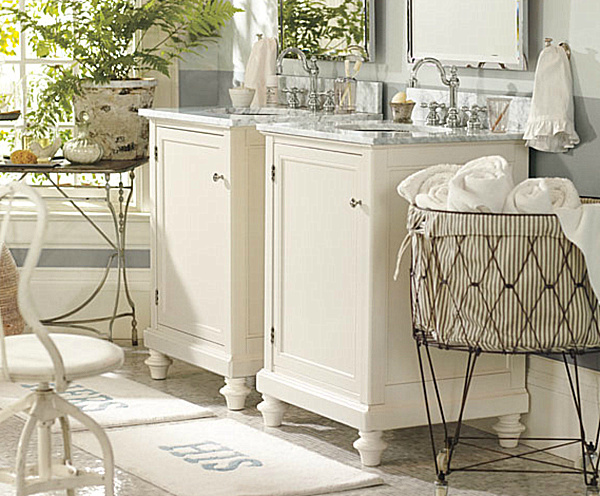 Today we spotlight bathroom makeover ideas, from simple touches to involved projects. 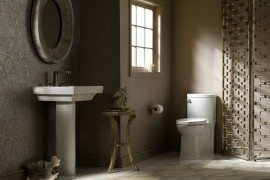 Some of the tips below can be carried out in an hour or two, while others may involve outside help. 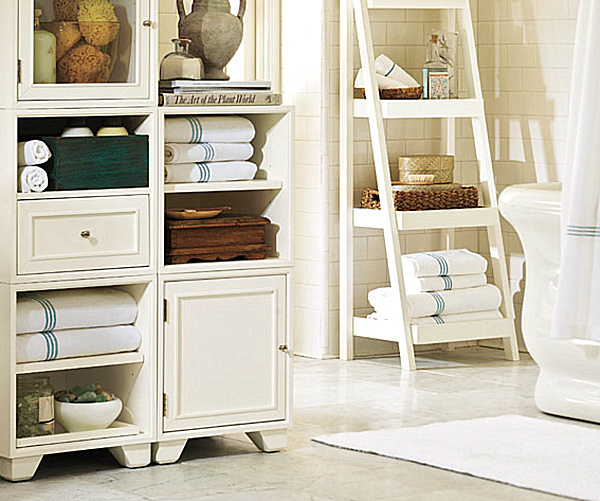 From inexpensive refreshers to more substantial changes, a variety of options are presented for your inspiration. 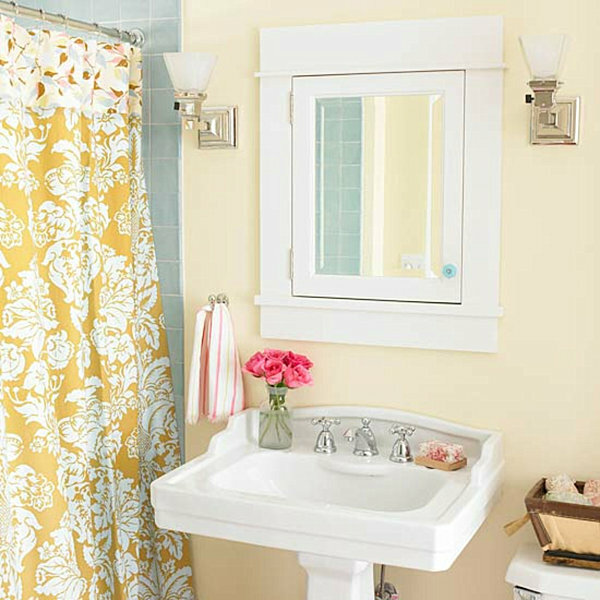 Wallpaper can be a questionable choice for a room where an abundance of humidity can lead to peeling. 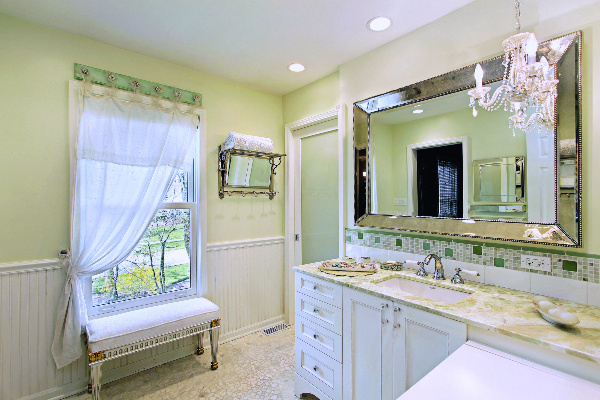 As an alternative, try creating a wallpaper effect with paint and stencils, as shown in the bathroom below. 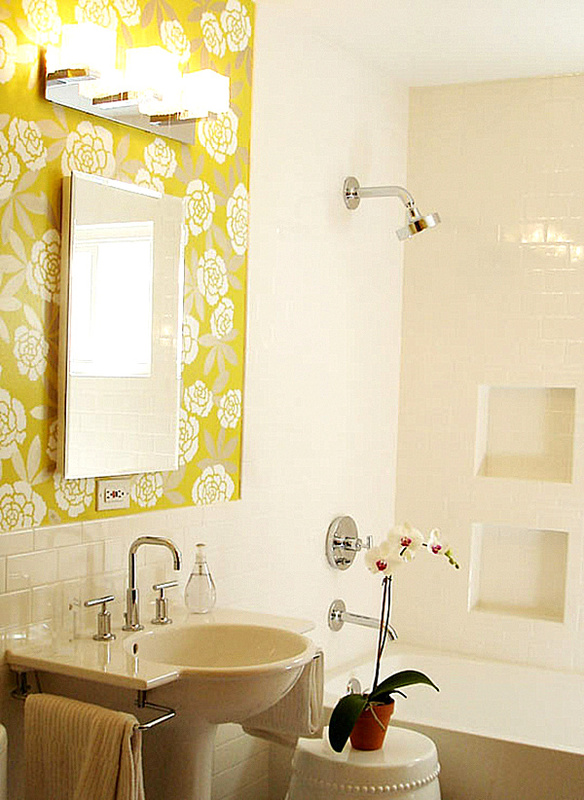 Even adding pattern to one small wall can make a world of difference. 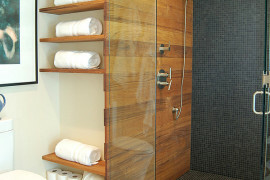 For more details, check out Apartment Therapy.